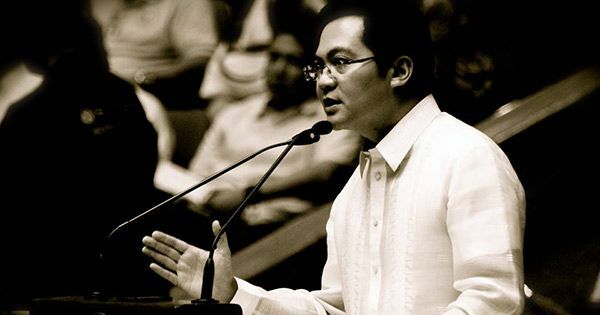 Congressman Karlo Nograles refuted the claim of a self-confessed assassin that his father's bodyguards in the past were kidnapped and killed. The Davao City representative, a son of former House Speaker Prospero Nograles, made the clarification in a Facebook post. "I don't know what this guy is talking about," the younger Nograles wrote, referring to Edgar Matobato, who claimed to be a member of the so-called Davao Death Squad (DDS). "From the time I was chief-of-staff to the time I was elected as congressman, no supporter of ours or persons under our employ was ever killed due to politics," he clarified. "Political differences in our city has always been strictly on the level of difference in policy and style; it has never degraded into the level of physical or violent." "That is why it is easy for us to set aside our differences and unite for the common good of Davao and the nation," he explained. "I can only suspect that this guy is being manipulated by some people to only serve their own selfish interests." "Noong 2010, tumakbo po si Prospero Nograles na mayor ng Davao City. Naglaban sila ni Mayor Duterte so hinuli nila at pinakidnap ang mga bodyguard ni Nograles. Kinidnap namin at dinala sa Island [Garden] City of Samal," Matobato said. "Ako ang nagbuhat, isa-isa ko binuhat. Nilagay sa buhangin at binigti lahat. Pagkatapos, biniyak namin 'yung tiyan tapos ako ang nagkarga ng bangka doon sa laot. Tinapon namin. Nilagyan ng hollow blocks, tig-tatlo kada tao," the Senate witness added. Matobato's credibility has been questioned.